When the Red Bank Baptist Church in South Carolina voted to remove a statue of Jesus, the Catholic Church was complimented. It was in response to complaints that the statue was too Catholic looking—an intrusion on their kind of worship. 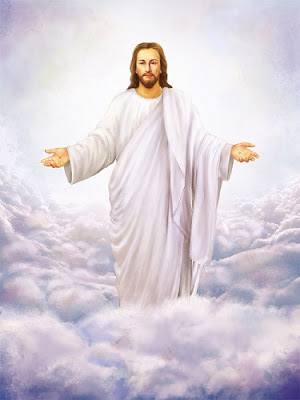 If an image of Jesus with outstretched arms seems Catholic, I say, Amen to that! The church leadership voted 131 to 40 to take it down. We don’t know when or where, but Jesus will have a new home. He has been donated to another local church that wants him. The letter to the statue's artist–fellow Baptist, Bert Baker—was posted on social media. In it, Pastor Jeff Wright said: "We have discovered that there are people that view the art as Catholic in nature. We understand that this is not a Catholic icon, however, people perceive it in these terms." The artist responded: “I'm not interested in stirring the pot, but people not liking it because it looked too Catholic is crazy, man. It's been up there for 11 years.” Both the church's letter and a two-page response from Baker were shared on Facebook by church member Rhonda Davis. In the Facebook post, Baker called the art "a wordless story of Christ’s life, death and resurrection." Davis said its removal is sad and regretful because it "insults and prejudices" another denomination, which she described as "totally unbecoming of anyone who calls themselves a representative of Christ." I went to the Red Bank Baptist website to get a glimpse of their church and watched a few videos. There is an empty cross above a stage, and of course no crucifix because that is definitely Catholic in nature. Note that many criminals were tied onto crosses. It was a symbol of Roman punishment. Jesus Christ was crucified. Yes, he is risen and not still up on the cross, but the crucifix reminds us that God sent his only begotten Son to suffer and die for us so that we might have eternal life. That’s love beyond measure. 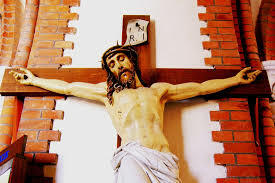 A crucifix represents the love of Jesus for us. The church also has a stage where preachers give lively talks. I noticed band instruments including a couple drum sets at the back of the stage. There was no liturgy or breaking of the bread or altar, both something the early Church Fathers wrote about having at the Mass and something Catholics still do. Sunday services were not just a gathering for talks. Talking about Jesus is a good thing. It’s a fantastic thing. It’s just not enough. Jesus is in our Church. He is present in the Eucharist as early Christians have always believed ever since the Last Supper. Jesus is welcome and so are likenesses of him, just like pictures of loved ones are appreciated as a way to feel closer to them. We are blessed that Jesus is welcomed in any form—statues, paintings, and in the Eucharist— in every Catholic Church in the world. Thank you, Jesus, for the gift of the fullness of faith.